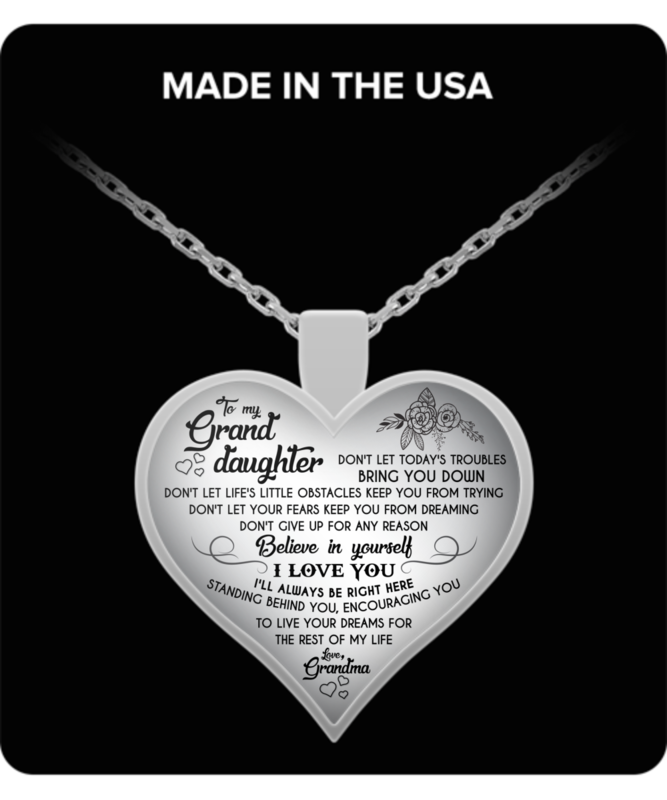 Just perfect Christmas gift for your Granddaughters, Grandmas! Meaningful Message! Loved the pendant, am yet to give it to my grand daughter. I love it, but I was hoping to have it here before Christmas. I know my granddaughter will ❤️ this beautiful necklace. I also loved the cup I ordered for my grandson. The saying was beautiful and I will be ordering more of later this month for all of my grandsons. Thank You very much. Grand daughter was very pleased with her birthday present. I liked how it was presented.. The necklace made it here on time . It looked as shown. We were sent updates about it's progress. Thank you. My grand daughter LOVES it.